Guild Launch, the world’s leading guild hosting and community management platform, has become an exclusive partner of Artix Entertainment. This partnership allows all AdventureQuest Worlds players to instantly access their own customizable website at Guild Launch for their entire community website hosting needs. AdventureQuest Worlds is one of the most popular online MMO games, with more than 55 million registered users. Combining forces with Guild Launch allows both entities to provide these players an experience they’ve yet to have with this game. From giving them additional team communication channels, providing a single rallying point allowing them progress further and faster in-game, plus a true place for their team to call home, this partnership will take the out-of-game experience for all these players to the next level. To learn more about Guild Launch, please visit Guildlaunch.com. To learn more about Artix Entertainment, please visit Artix.com. Guild Launch is the leading provider of guild, clan and team hosting services to the video game community. Guild Launch delivers community management, creation, and support services to over 500 video games, fan sites and 3.5 million registered users. The platform provides premium, feature-rich, easy-to-use, hosting and social networking to gamers playing the most popular games. 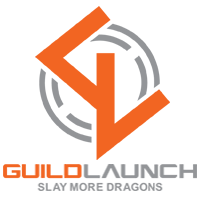 Guild Launch is the flagship product of Launch Media Network, the creator of publishing platforms, data analysis tools and mobile apps for the video game industry. For more information, please visit Guildlaunch.com, follow @GuildLaunch on Twitter and like them on Facebook for regular news and product updates. Artix Entertainment LLC, is a privately held, game development and publishing studio that specializes in creating online, browser-based, anime-style, role-playing Flash games with a distinctive visual style and high-quality game play. Artix has developed a range of games with storylines that are based in the fantasy, sci-fi, and adventure genre. Content within the games is updated on a weekly basis creating a compelling experience which keeps users coming back frequently for new content and story lines. Artix core offerings are three MMORPGs: AdventureQuest Worlds, EpicDuel, and OverSoul; three online RPGs: DragonFable, MechQuest, and AdventureQuest; and the puzzle-based mobile game Battle Gems. Players can visit http://www.artix.com for more information.